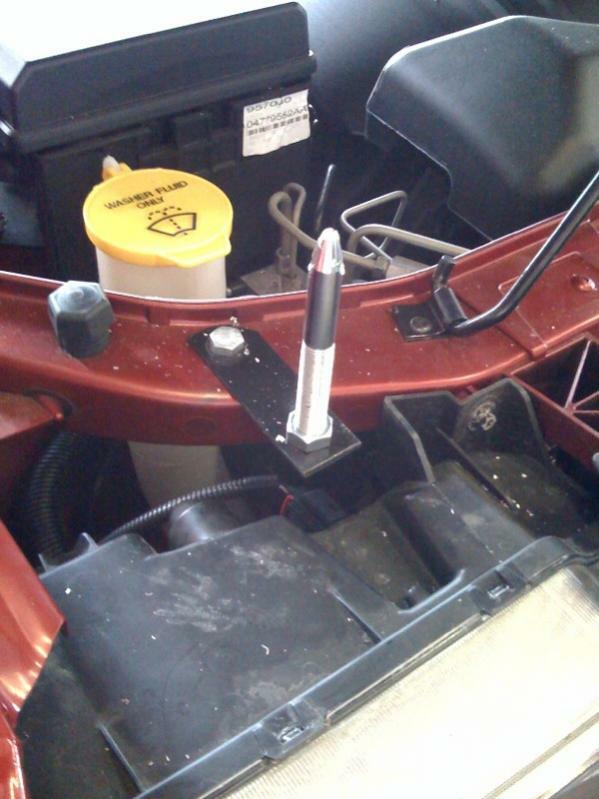 I'm wondering it anyone here is using hood pins. My Duster and 70 T/A have them factory and I want them on my 09 also. I found a set from a Mustang web site ( American Muscle ). I just got them yesterday and WOW! These are heavy and you would have to look very close to tell they were fake. I'm going with the stick on ones as I just cannot drill big holes in my hood. No way No how! Anyway they are $75.99 regular price and they are now on sale for $56.99 with free shipping. What a deal! I have 4 feet of snow in my back yard so I cannot get the car out to put them on yet. I have the stick on ones as well. 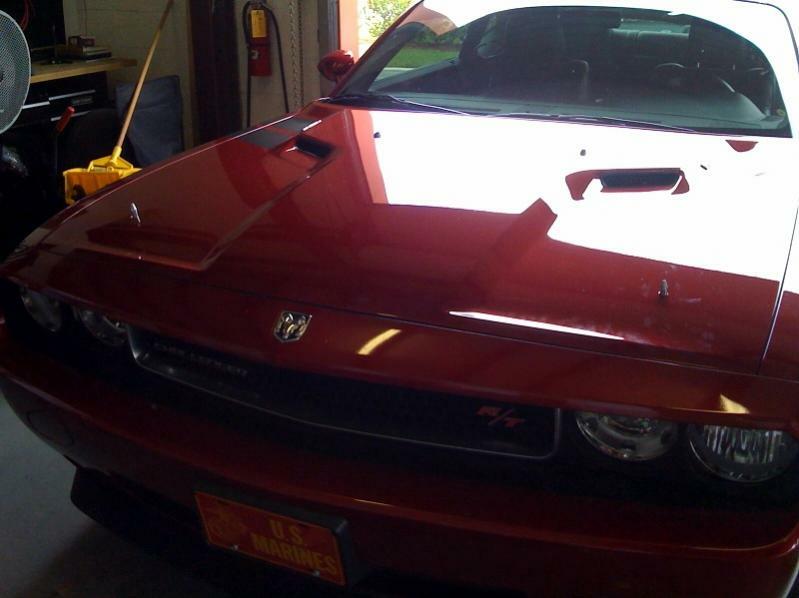 just like you , I dont want to drill holes in the hood. I have the factory 74' pin kit, so I need to drill holes, do any members on here have them and can give me some pics of where they drilled the holes. you will probably have to set them back farther than what the originals are set at. the radiator brace is not that close to the front of the hood. Some people that use the real pins will make a bracket that mounts on the inner fender. This moves the pins out to the front of the hood. I've seen them mounted directly to the rad support but they look bad ( to Me ) that far back on the hood. I was going to mount mine from the rad but tuck and hide the bracket under the black plastic rad cover, I think mine are long enough t o allow the 1/8" sink to hide the brackets. Trying to get them at least centered somewhat rather than close to the fender well, they look odd that widely spaced in my opinion. Last edited by canadiancanuck; 02-22-2010 at 10:18 AM. Here is where the 70's went. They are pretty close to the edge. This is where I'm going to put mine. The guy said they are 4 ins in from the side and 4 ins up from the front. His are the stick on one like mine also. 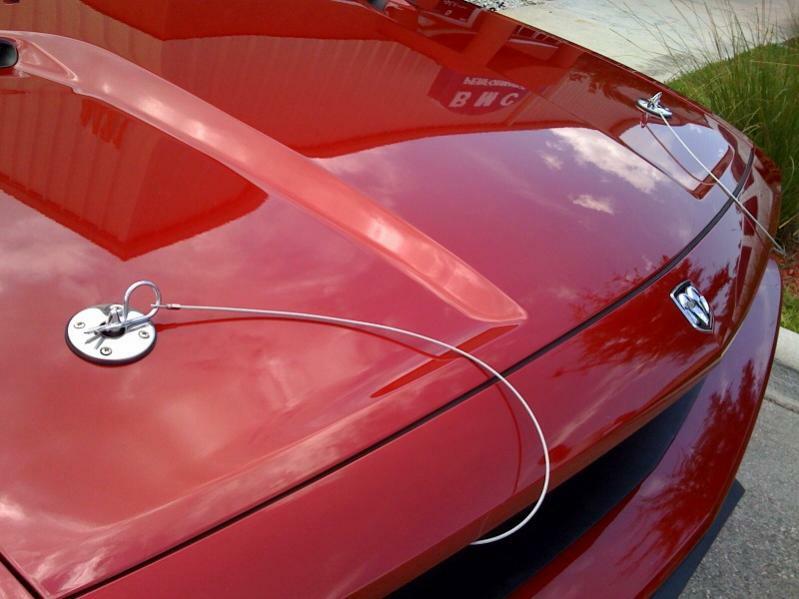 I too plan on using "real" hood pins at a later date and I will be mounting mine more like the 70 Challenger (closer to the front corner of the hood). I really don't care for hood pins that are mounted farther up the hood as they just don't look right. 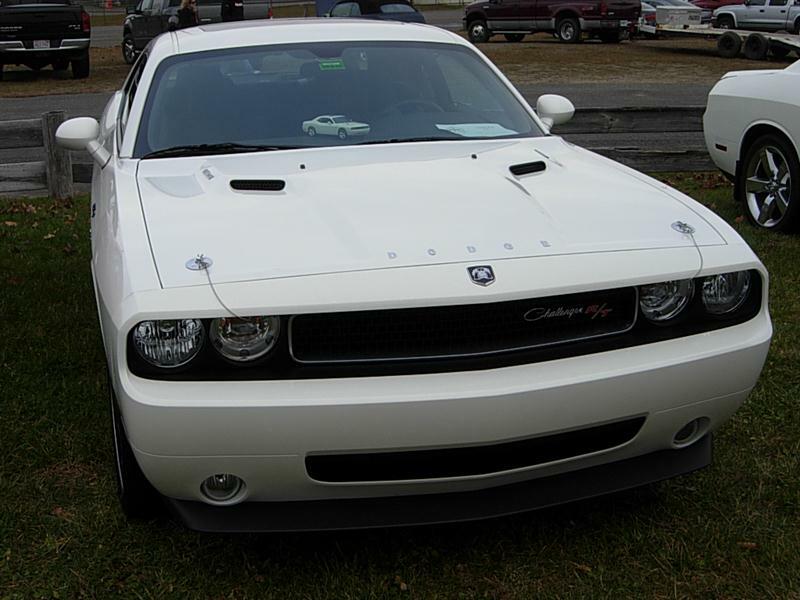 (If you look at race cars, most have them mounted very close to the edge of the hood). As Canadiancanuck stated, I am going to mount a bracket under the black plastic rad cover to get the placement and look I want. 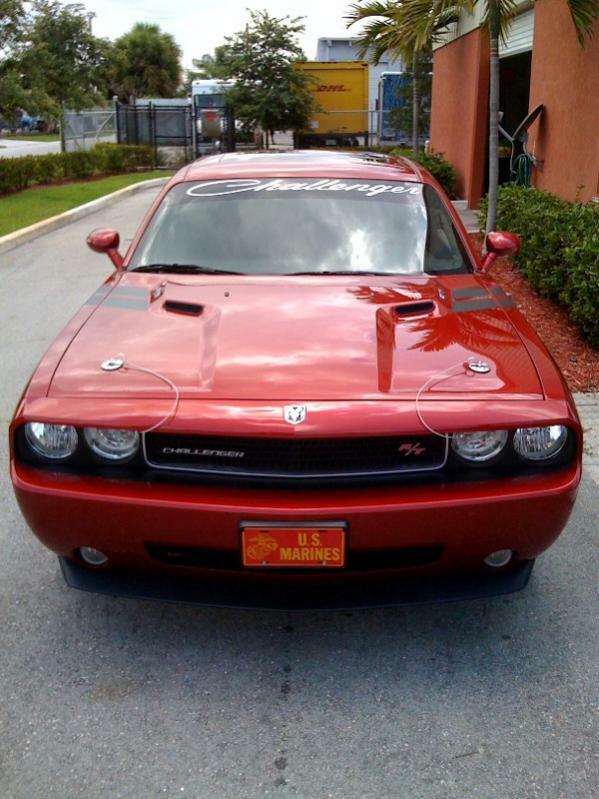 I just can't get into the look of "fake" hood pins on a muscle car, and when the hood goes up...looks very funny and loses the entire effect.